SUBHEAD: Plant a garden. You have to grow plants that are happy with your soil and weather. 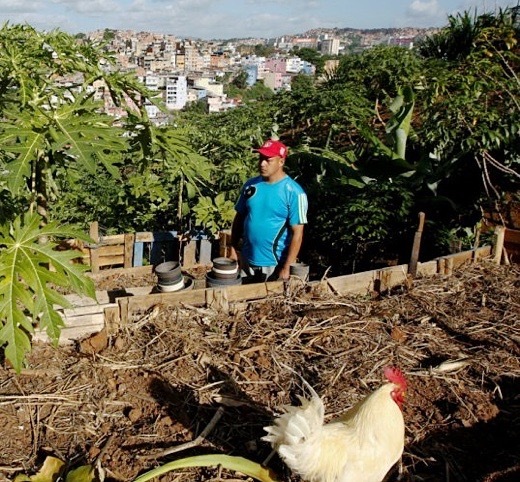 Image above: The economic crisis in Venezuela is forcing residents of Caracas to embrace urban farming. From original article. Ripping out your lawn and planting kale and peppers won’t just lead to great stir-fry — a new study finds it could make major contributions to fighting climate change, too. Two pounds of carbon emissions could be prevented for every pound of homegrown vegetables consumed, according to researchers at the University of California Santa Barbara. 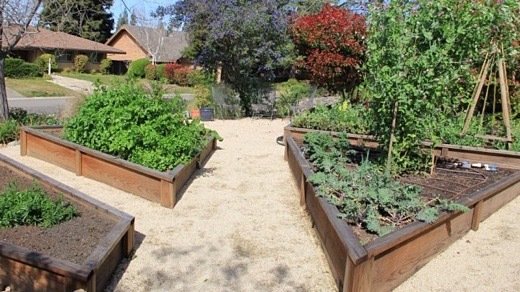 And that could add up to a big impact: Give a highly productive garden to every family in California, the researchers calculated, and it would take the state 10 percent of the way to its previous goal of cutting emissions to 1990 levels by 2020. Of course, those are sweet potato pie in the sky numbers, but that shouldn’t keep you from doing your part. And the study includes crucial caveats if you want your garden to be climate-friendly. “We have these assumptions about what works, but we can go off in the wrong direction if we don’t make sure they are correct,” said David Cleveland, the research professor who spearheaded the project, the findings of which were recently published in the journal Landscape and Urban Planning. If you want to make sure your garden is a climate boon, not bane, here are some tips. Image above: Save all all compostable household material for building more soil and reducing CO2 emmissions. From original article. 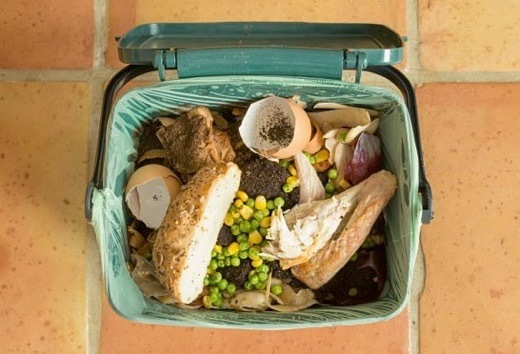 The main emissions reduction from gardening comes from diverting your food waste from the landfill, according to the study, where food rots and spews methane and nitrous oxide. That means that the way you handle your food waste can make or break this whole enterprise. If you have good composting intentions but then forget to aerate and manage your compost pile, it can fart out a “buttload” (I believe that’s the precise amount) of potent greenhouse gases. Not all dumps allow their rotten vapors to drift into the firmament. If your landfill captures methane and burns it to generate renewable energy, then it could be better to send your table scraps to the dump than try to compost at home. The best option, Cleveland said, is to have a centralized composting facility that captures gases and sends compost back to home gardeners. This also suggests that we could reduce emissions by reusing waste in other parts of our food system. When I asked crop scientist Toby Bruce for an independent assessment of the study, he said it seemed reasonable, and pointed out that conventional farmers could also use composted food waste for fertilizer. And, he said, if we wanted a truly closed-loop system, we could recycle human sewage for fertilizer. Image above: “If you planted a garden then just forgot about it,” according to Cleveland, you’ll end up emitting more greenhouse gases than if you never even started..
To get it right, look to someone like Karrie Reid for advice. Reid has an obligation to garden well: It’s her job. She’s an environmental horticulture advisor for the Cooperative Extension Service at University of California. There are extension officers like Reid associated with every state university system, and they’re basically hands-on ag educators. You can find your own version of Reid by looking up your local extension’s master-gardener program. Reid doesn’t abandon her plants midway through summer, and she doesn’t over-plant and then end up throwing out dozens of thigh-thick zucchinis. Sure, when the cucumbers peak, there are more than she and her husband can eat, she confesses, but they share with their neighbors. The neighbors also come over to harvest herbs from the sidewalk. Follow her example, and you’ll be on the right track. In the drought-ridden West, you can often get some money from the government if you tear out your lawn (and more importantly, your sprinkler system). But, in most places, to get these rebates you have to replace the lawn with something that doesn’t need irrigation — not tomatoes, Reid said. However, you can often collect rebates when you replace a lawn with perennial food-producing trees, shrubs, and vines. Check with your local water district. There may be more incentives to come. Cleveland hopes that his paper might lead local or state government to pay home gardeners for their carbon-reducing services. California’s climate law allows for this kind of reimbursement, but the state hasn’t done much to encourage it so far.